The KV-1S is a Rank II Soviet heavy tank with a battle rating of 4.3 (AB/RB/SB). It was introduced in Update 1.57 "Battle March". 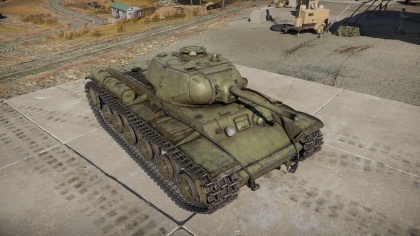 A lightened KV-1 made to improve its maneuverability, the KV-1S has less overall armour than the original design, but keeps its same lethality with improved speed. Compared to the KV-1 L-11, side and rear armour is decreased to 60 mm, lightening the vehicle and increasing its speed to maximum 43 kph. A new turret was installed, presenting a smaller profile, thicker armour, and better angling all around. The armament is also changed to the ZIS-5, the equivalent of its successor and the T-34's F-34 guns. The gun mantlet shield has varying thickness, thickest just a little above and below the center 55 mm area. Ammo racks of the KV-1S. When playing the KV-1S, remember that you are still a heavy tank. Keep your front armor facing your enemies at all times, and preferably angled (but slightly less than KV-1 L-11). 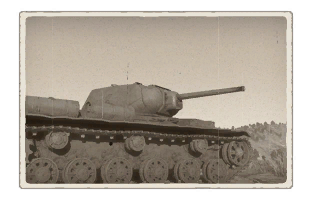 KV-1S turret is more durable, and can deflect more shots than before, so if possible expose your turret only. Gun has no special penetration value, so try to target weakspots or areas with the least armor. Flanking attacks could end in a fiery demise. Also, this tank is still a KV-1 in it's heart. The best tactics for this tank is: keep a low profile and stay behind the main assault. When your team has advanced to the enemy's base, the KV-1s is best used to round up straggling enemy tanks behind your lines. If these tanks aren't destroyed, they'll attack your team's rear. The common enemies are armed with guns that usually can penetrate the driver's hatch. Watch out for enemy T-34 (especially mod. 1941 and 1942, sometimes mods 1943 and the 57 variants), since they can flank you easily. Also watch out for all german Pz.IVs & StuGs armed with long 7.5 cm gun, as it can penetrate your front armor even if you are angled. Meeting other KV-1's and Churchills may become a stalemate as the KV-1S gun may not penetrate against their formidable armour. This leads to the hope that the APCR ammunition works, and the firing of several rounds into the target for a penetration. Faster than its predecessor and successor, yet frontal armor is the same. First reverse gear presents a slow reverse speed of around -5 kph. Still a heavy vehicle, poor acceleration. Gun lacks penetration against heavier opponents: The KV-1 ZiS-5 and both Churchills are very hard to get through. APCR is unreliable. 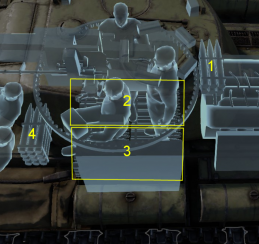 [Devblog] KV-1S: How’s the tank? This page was last edited on 14 March 2019, at 21:04.